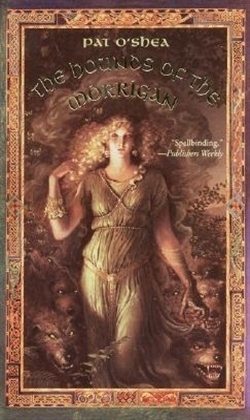 The Hounds of the Morrigan is a novel by Irish writer Pat O'Shea. It was published in 1985, having taken O'Shea ten years to complete. The novel centers on the adventures of 10-year-old Pidge and his younger sister, Brigit. Many characters in the book are culled straight from Celtic mythology. The book was intended for younger readers, but as a slightly more mature reader, I still find the book a delight to read.